Since his brother was killed in 2014, young teenager Dayveon has lived with his sister and her boyfriend. He is loved, but he is longing to belong and to make sense of his brother’s death. The only belonging he has from his brother is his brother’s loaded handgun. Dayveon is jumped into a street gang, and joins them in robberies. He is uncomfortable with the crimes in which he has participated. In one crime, he and one other gang member rob a poker game, and one of the victims is Dayveon’s sister’s boyfriend. Later, the boyfriend confronts Dayveon, affirms that he loves him, and challenges Dayveon’s involvement in the gang. It’s uncertain what Dayveon will choose to do. Dayveon’s parents are never mentioned. He lives with his sister and her boyfriend. He has one close friend, and has also been jumped into a gang. Even though Dayveon has entered into a criminal life – and participated in a robbery against him – his sister’s boyfriend makes strong efforts to invest in Dayveon’s life. Support Adoption at the Movies! Language, gang involvement, and violence will push this movie out of the comfort zone for many viewers. 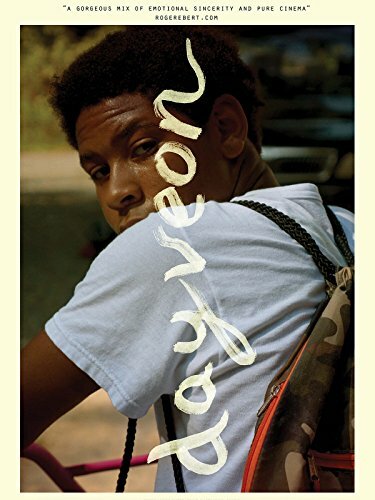 Dayveon is an interesting study of the life of a fictional but very realistic Arkansan teenager. I wouldn’t recommend this for kids, but parents could find it meaningful to notice how the love of a parent could have been formational in Dayveon’s life.